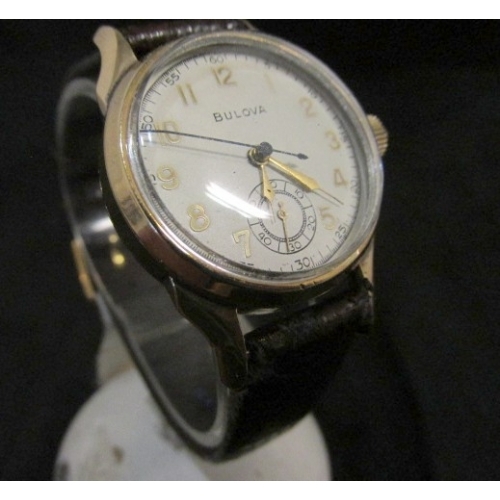 BULOVA One Button Chronograph Ca.1942 Very rare Bulova military produced about 1942, must have been produced in low numbers as they are rarely seen. 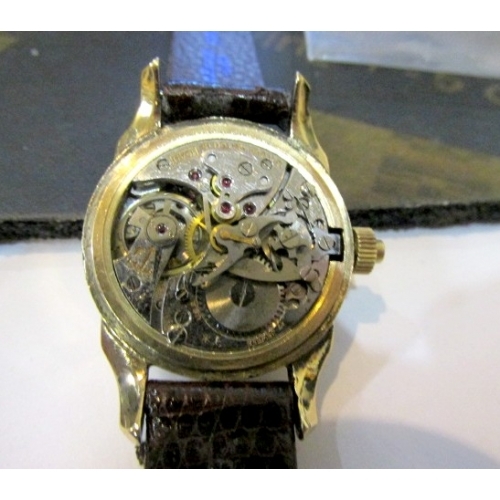 Movement is a Caliber 10 AH with seventeen jewels...fully serviced and running and operating perfect. 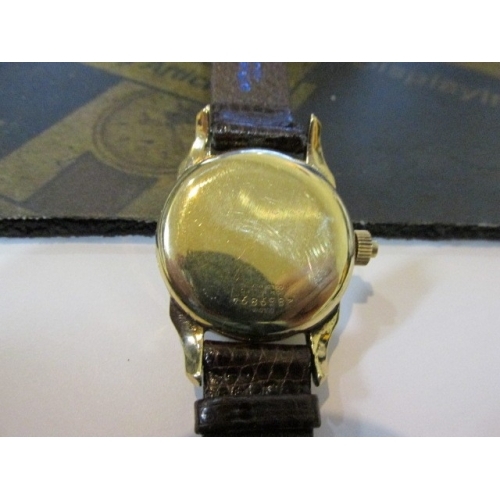 Button in center of crown starts, stops and resets the center chrono sweep hand and crown is in perfect condition. Case is yellow gold filled in very nice condition, minor wear only, measures 28.6mm x 37.4mm overall and comes with original military nylon strap and buckle. Dial is original and it's terrific as are the complete set of factory hands. 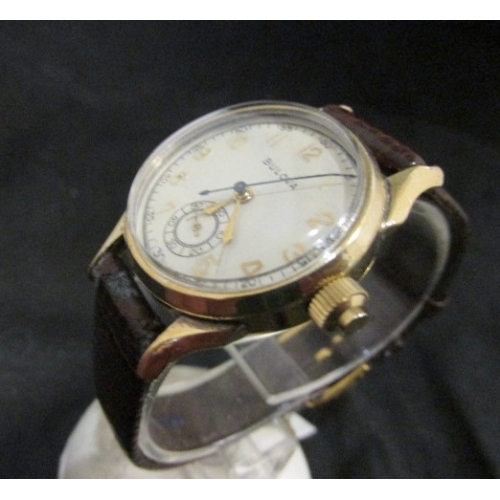 Model # 31773 and case # 2839894 (matching case numbers) Neat watch, ready to go.....!! 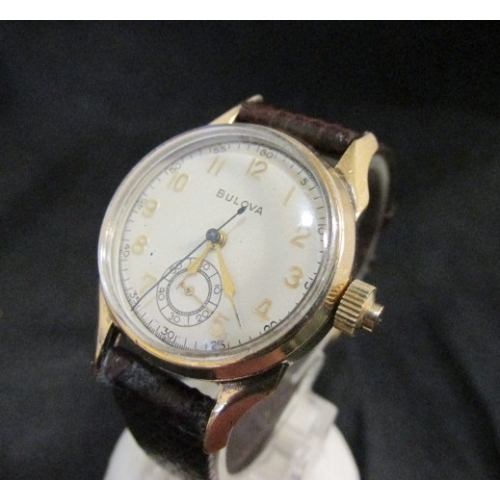 Very collectible vintage watch! My father-in law received his at Randolph field in San Antonio during the War and used in pilot training. 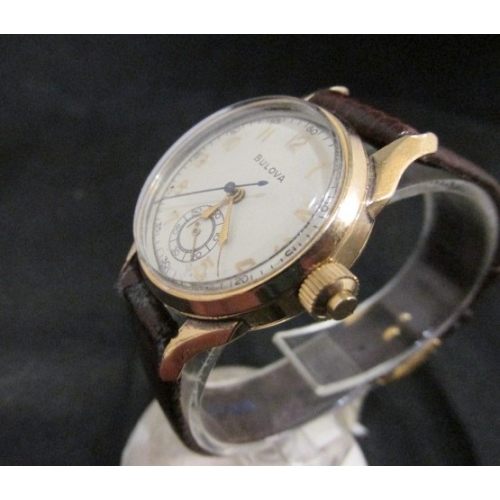 Neat watch!